Speedy 400: Be the First to See it in Action! The Speedy 400 is HERE! See it for the first time in the US at The NBM Show Philly! This unique work of art is sure to turn heads! New features, capabilities, design, and an upgraded JobControl make this system the best Speedy ever! Discover the possibilities in booth 601! Speedy 400: A New Dimension in Laser Engraving! With a working area of 39 x 24 inches, the Speedy 400 is capable of handling a variety of materials. 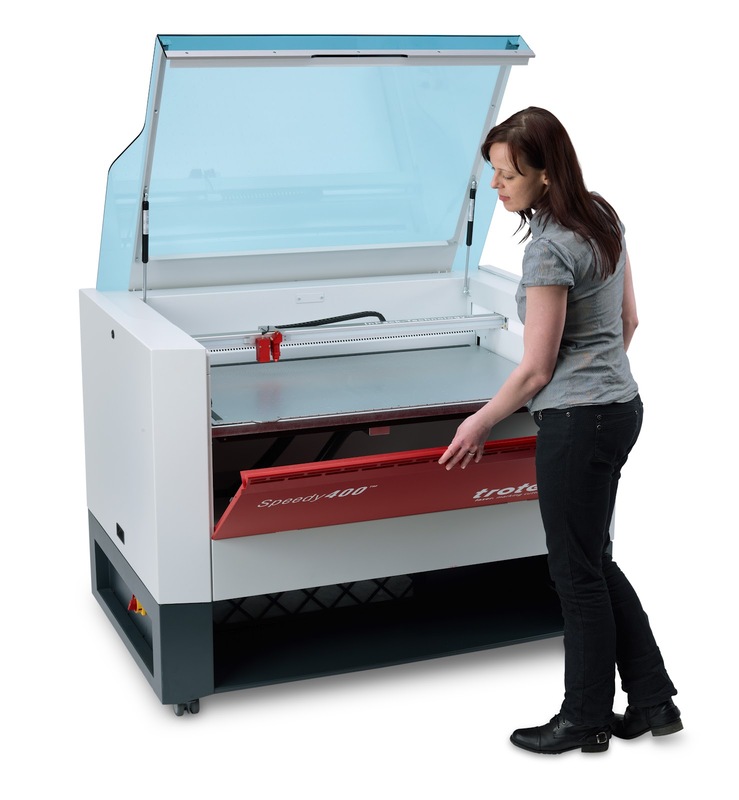 The laser engraving machine is a perfect extension to the Speedy family, between the platform sizes Speedy 300 and Speedy 500. When developing the laser system, the Trotec team focused on usability, economics, and flexibility. 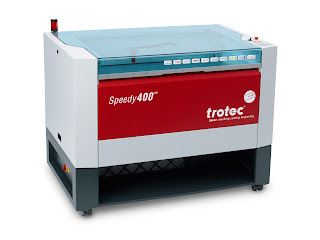 Get ready to discover unique features never seen before for Trotec has taken the proven and successful Speedy characteristics to a new level with the Speedy 400. Together with the Speedy 400, the innovation leader Trotec introduces the new version of the laser software JobControl. Not only a new design, but even more impressive new features will delight the modern laser user... Stay tuned for more information on JobControl X and when it will become available on all Speedy lasers. Speedy 400: Innovative Table Design! With the innovative table design you have the ability to quickly and easily change the working table to the optimum table for your current application. 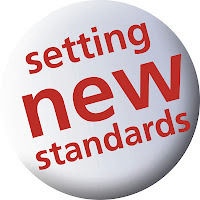 The choices include: A standard table for engraving jobs, a honeycomb grid for cutting small parts, a cutting table for intricate cutting jobs, or a vacuum table. Speedy 400: A Solution You've Been Looking For! From it's unique bed size, sophisticated features, and ergonomic design to Trotec's know rugged reliability, long warranties, and trustworthy quality this machine is truly the best of the best... Spending less than 5 minutes in it's presences was all I needed to add this beauty to my wishlist.